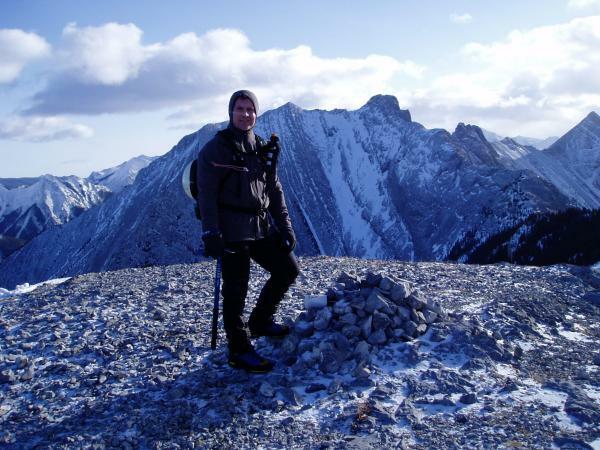 On one of the shorter (and more windy) days of the year we decided to do the Heart Mountain traverse and ran out of daylight at the end. The route was fairly icy and snow covered in sections especially on the eastern aspects. Even in January there were a few folks climbing the mountain including a group of dudes in jeans and runners (not advisable at any time of year and especially not in the winter). The so called crux was not much of problem although it does kind of have a small overhanging bulge which gives it a moderate rating I guess. The crux has no real exposure and is maybe 2 - 2.5 meters high. The only other unavoidable scrambling part of any significance is a brown rock gulley that terminates at a lonely tree. 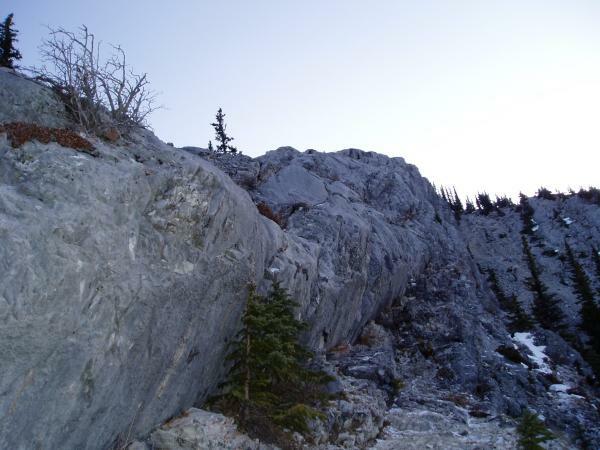 This gulley has decent rock (for this part of the world) and is fairly easy even with some ice and snow. The traverse takes you to a couple other summit bumps the second of which contains a register. 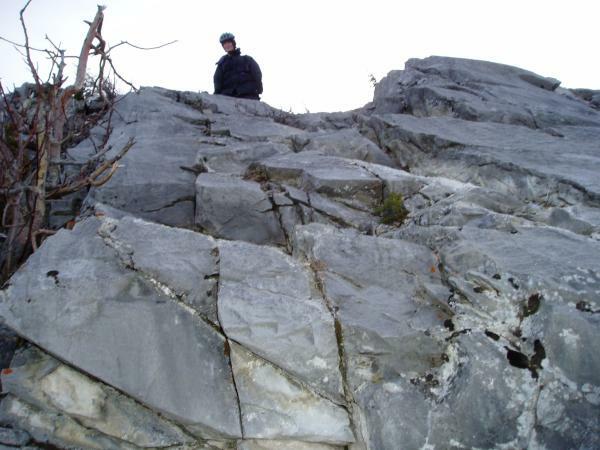 The descent from the traverse has no real scrambling sections but some moderately steep scree at the beginning. I ended up in a little involuntary glissade descending from the true summit that a little ice axe arrest solved. Some avoidable 3rd class rock on ascent. At the second and true summit. Note the horizontal angle of the red 6mm cord on my pack strap showing the force of the wind. 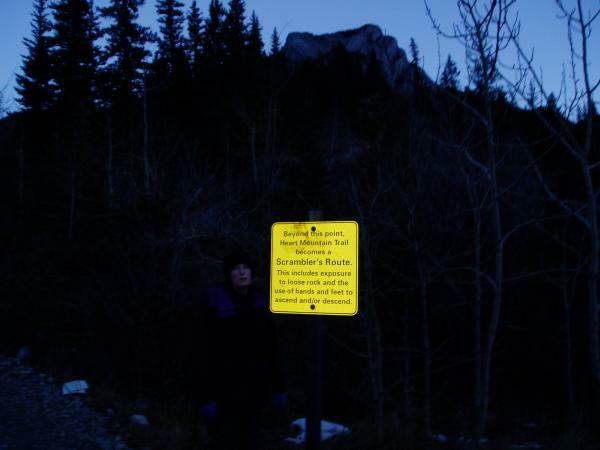 Running out of daylight with Heart Mountain in the background and the "scramblers route" sign in the foreground.